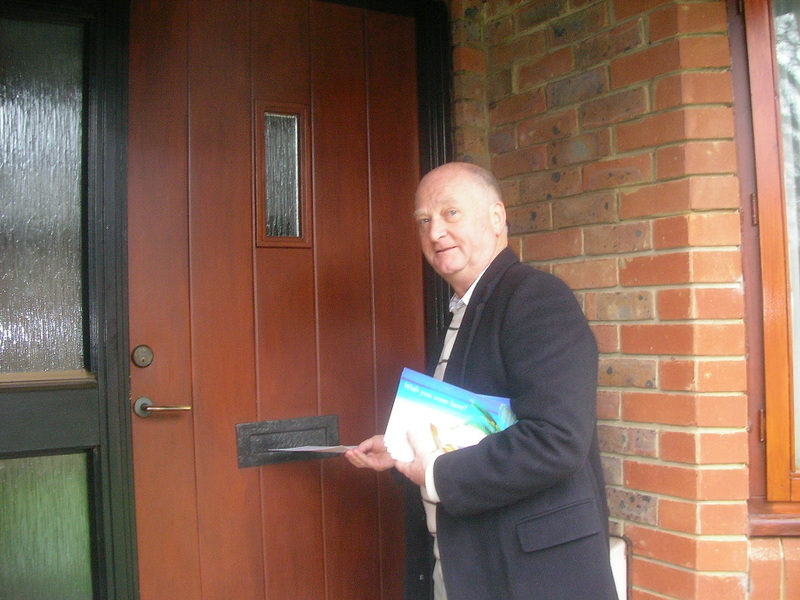 I’ve just returned from Horley, Surrey, where I was leafleting and recruiting with our new East Surrey TPA organiser Clive Greig (pictured). Even though it rained non-stop (not as bad as yesterday, mind) we pressed on handing out leaflets and telling people about the TPA’s mission to lower taxes and inform the public that the government isn’t always right, that it shouldn’t run everything and that, in some instances, government can be the problem rather than the solution. We were joined by TPA supporter Bill Cobbett who took some leaflets back to East Grinstead to continue the recruitment drive there. This shows a great advancement for the TPA in Surrey. We already have a successful and thriving branch in South West Surrey under the experienced stewardship of Peter Webb, whose regular campaign diaries you can read on our blog. Now under Clive’s management the East Surrey TPA can flourish, ensuring that councils in the East are held to account so Surrey’s taxpayers can get lower taxes and value for money services. If you want to have a leaflet day in your area to help build a strong TPA presence in your area, drop me an email and we can arrange something. Even better, if you’re in East Surrey and want to get involved, email Clive and get campaigning. Tomorrow you’ll all find out just how hard we have to fight for lower taxes and smaller government. This is your money, it’s your campaign - so do your bit for the cause, join up and spread the word!